The Washington state legislature requires that anyone providing the services of an SPI (Structural Pest Inspector) be licensed by the Washington State dept. of Agriculture (WSDA). That means if, during a real estate transaction (Home inspection) you report on WDO’s (wood destroying organisms), damage by these pests, or conducive conditions leading to their development you must be licensed. Hiring a home inspector that is also a licensed structural pest inspector is crucial and will save you money in the short and long term and many times is required for certain loans such as a V.A. loan. Additional insurance is required for the Structural Pest Inspection license, as well as schooling (written and field), testing (written and field) and continuing education. It takes a real commitment and the final testing is not a cake walk by any means, many people fail including seasoned inspectors. Today we will talk about one of the most prevalent wood destroying insects in our area, The Anobiid beetle, also called the Deathwatch beetle. Primarily in our area we see the western deathwatch or Hemicoelus gibbicollis. People often mistakenly call this the powderpost beetle which infests hardwoods such as Oak, Walnut or Ash. The Deathwatch beetle received its nickname during medieval times in Europe, because people heard tapping while sitting up with a dying or recently deceased individual. (Adult anobiids locate mates by tapping their mandibles on wooden surfaces,) These noises were thought to warn of impending death! 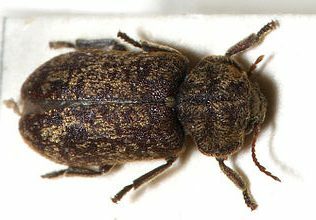 Anobiid beetles primarily infest softwoods such as Douglas Fir, Cedar and Hemlock-rarely will you see hardwoods in a crawlspace! 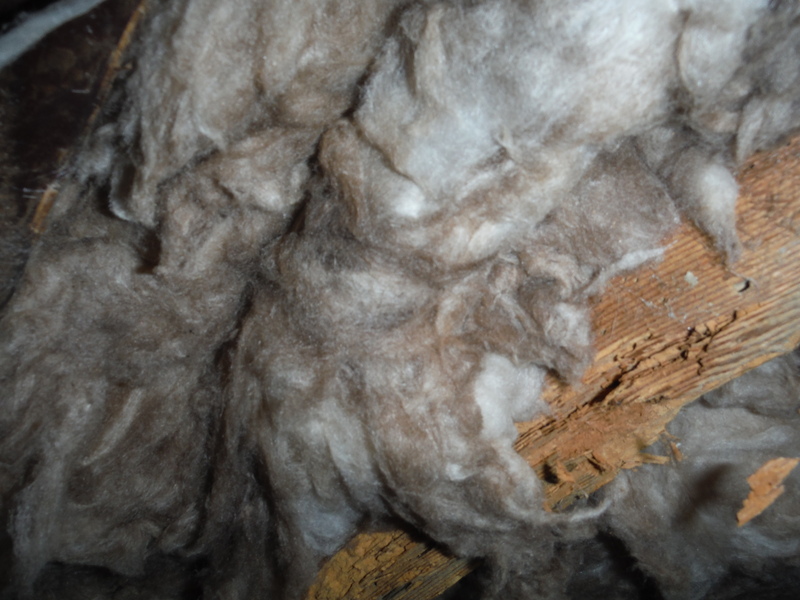 Any wooden timber with a moisture content 13-18% is subject to attack, this is why it is crucial to have adequate ventilation in your crawlspace, Vapor barrier in your crawlspace, proper drainage etc. Adult Anobiids lay eggs in cracks and depressions in the structural timbers. Upon hatching the Larvae bore into the wood, produce a granular or gritty pellet like frass and may continue to feed 5 or 6 years or longer. Eventually they tunnel toward the surface, pupate, and emerge as adults during the summer. This cycle continues until all available nutrition has been depleted. Infestations can die out naturally, this is where a trained structural pest inspector can give you guidance on the best course of action. If left unchecked the Anobiid beetle can wreak havoc on an unsuspecting homeowners structure. Treatments typically are done by a PMP (Pesticide Management professional) by spraying a Borate based treatment, and also may involve replacement of any severely compromised framing by a qualified contractor. Treatment typically lasts for 5 years. We recommend removing the subfloor insulation prior to spraying and spraying for the correct insect ( I have done more than one inspection where a national or local pest company sprayed for spiders!) obviously its crucial to see this process is done correctly as most of the time this service is contracted by the seller. From personal experience, I see anobiid beetle activity in homes of all ages, but particularly homes older than 30 years with crawlspace construction, Rarely in a manufactured home (steel frame, concrete blocks for columns) and even rarer with a concrete slab or basement. 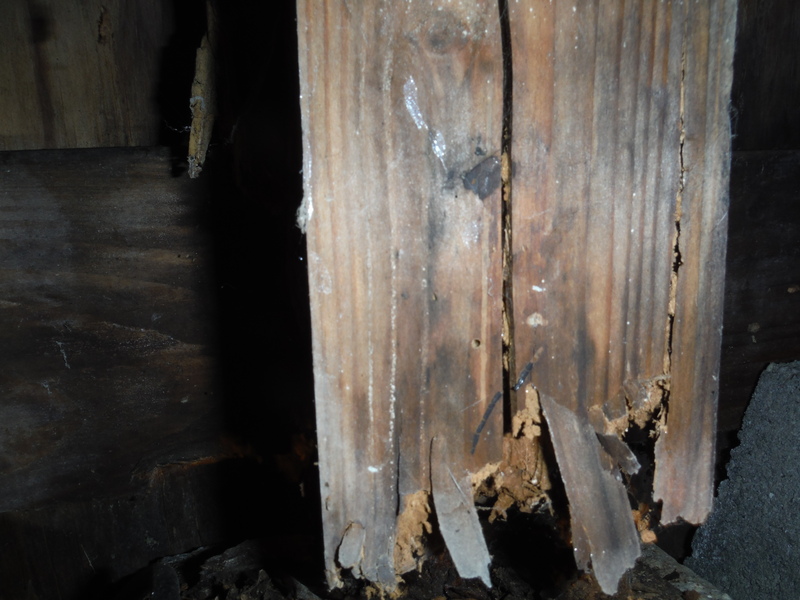 A Structural Pest Inspection is just one part of the home inspection process and anobiid beetles are just one of the dozen WDO’s in Washington state. If you are buying a home in Whatcom, Skagit, Island or northern Snohomish county, Have it inspected once and have it inspected right.